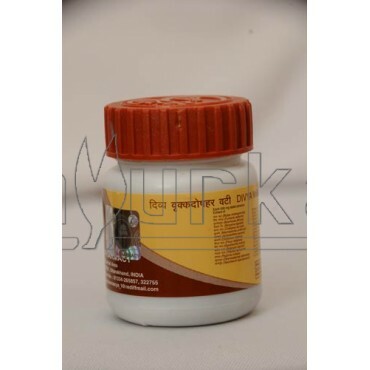 Divya Vrikkdoshhar Vati is a herbal product for the treatment of renal failure or kidney failure, kidney stones and other renal problems. 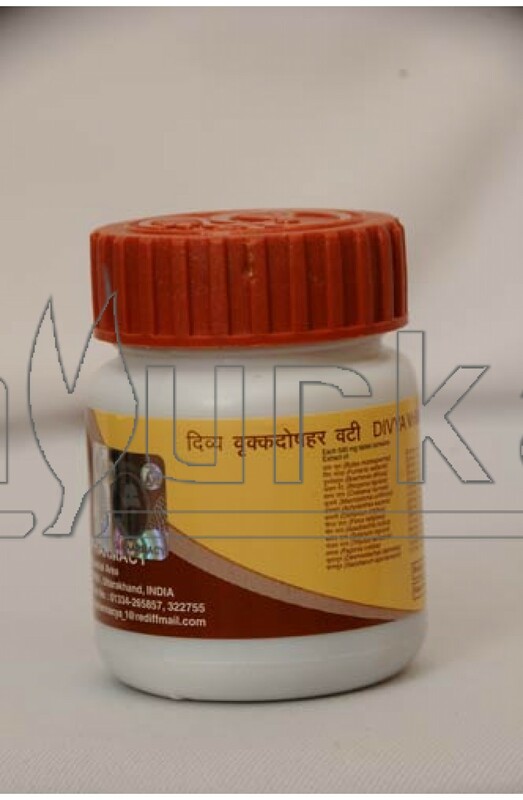 Advantages: Divya Vrikkdoshhar Vati is an effective solution for the kidney stones, slow urination, renal failures in which the kidneys fail to function adequately and urinary function related problems. Its continuous consumption dissolves the stones in kidney, urinary bladder, gall bladder and it also treats the problem of repeated formation of kidney stones and urinary infections. Ingredients: Divya Vrikkdoshhar Vati is made of 100% natural herbs and consists of Dhakphool, Pittapapra, Kulthi, Makoy, Neem, Kashmool etc. Directions of Use: Take one tablet of Divya Vrikkdoshhar Vati twice a day, before breakfast and dinner with Vrikkdoshhar Kwath. 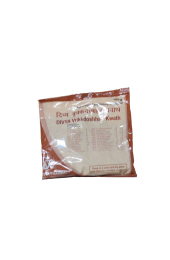 Packing: Divya Vrikkdoshhar Vati is available in packing of 40 tablets.